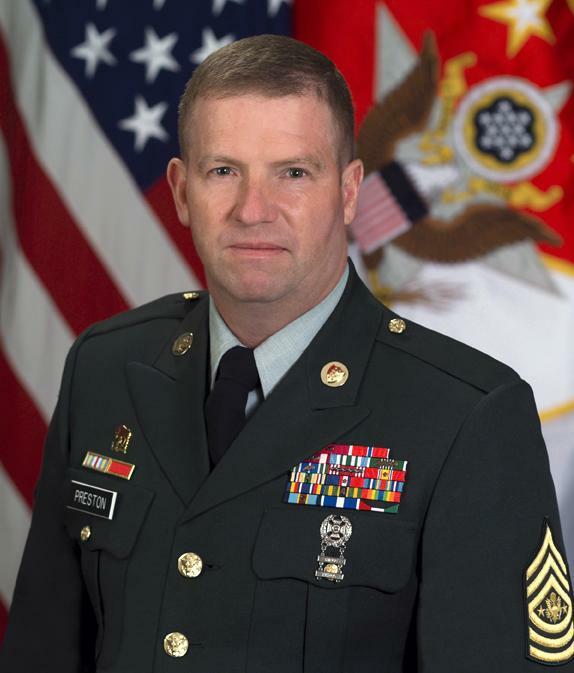 On 16 June 1999, Army Chief of Staff Gen. Dennis J. Reimer officially unveiled and presented the Sergeant Major of the Army Flag to the residing Sgt. Maj. of the Army, Robert E. Hall. The flag, designed by the U.S. Army Institute of Heraldry, was taken from the insignia created in 1966 to distinguish the SMA rank. The flag background is divided diagonally from the upper fly to lower hoist, in scarlet and white, with scarlet uppermost. The insignia of the SMA is centered on the flag with the fringe in yellow, cord and tassels in scarlet and white. Technically, this is not a rank flag put a positional color, e.g. it identifies the office or appointment of the individual. "Sergeant Major of the Army" is not a rank but an appointment. The pay grade of E-9 has three titles, depending on the individual's assignment: Sergeant Major (in a senior enlisted staff position), Command Sergeant Major (senior NCO of a battalion or higher formation) or Sergeant Major of the Army (the senior enlisted advisor to the Chief of Staff). The rank insignia are different, but the pay grade is the same. SMA wears the same insignia, on a circular brass disk, as a collar badge on the Class A uniform. Dimensions of the color are 3 feet on the hoist by 4 feet on the fly plus 2 1/2" yellow fringe. Contrary to my expectations and Tom's description, the actual flag is the larger 52 by 66 inch size, like the colors of secretarial-level officials and the Chief and Vice Chief, not 3x4 feet like every other positional color/personal flag in the Army. It also has the scarlet and white cord and tassels standard for the larger size colors. This seems out of line with normal Army practice, and perhaps with the official description of the flag, but there it is. From the photo at www2.powercom.net/~rokats/SMAPrestonOffPhoto.jpeg, it seems clear that the red and white fields are separated by a gold band. The flag was approved by the Chief of Staff, Army, on 22 March 1999. The background is divided diagonally from lower hoist to upper fly with scarlet above white. Centered on the flag is the insignia of the Sergeant Major of the Army - On a shield divided from lower left to upper right, the upper part red and the lower part white, a silver five-pointed star surmounted by the Coat of Arms of the United States in gold, red, white and blue between two white five-pointed stars at the top and two red five-pointed stars at bottom. The fringe is yellow. Cords and tassels are scarlet and white. 3 foot-hoist by 4-foot fly.